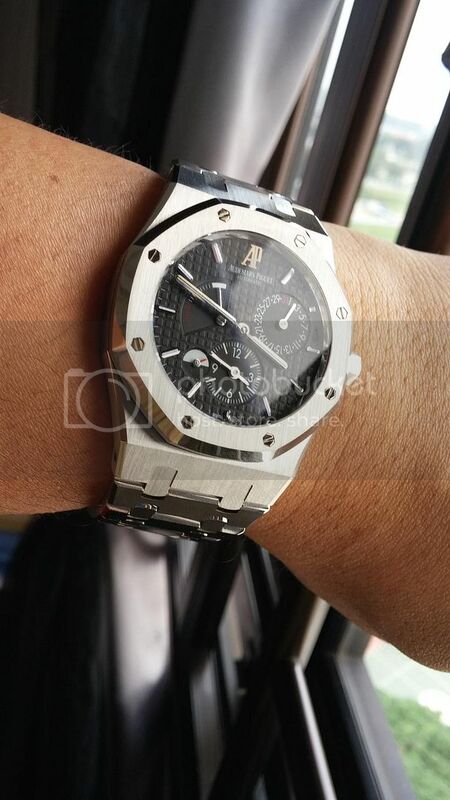 TimeZone : Audemars Piguet » My First AP.. Thanks guys for all the information in this forum. Finally decided on this AP Dual time. Loves it to bits especially the Dial layout and the complications. Can't find and blue one left as the Dual Time was discontinued and very very few in the market now. Previous Topic: What are you wearing to ring in the new year? Next Topic: Why the Royal Oak?